INDEPENDENT CO. & ARTIST, MASK AND BUST FORUM / Re: Death Studios Shock Monster! Thanks, fellers! Yeah, his prices are really reasonable considering the quality. I'm quite happy with it. Great Shock mask,Jeff does fantastic work and his masks are very reasonable too.I think if you wore that for the trick or treaters they would run like crazy. INDEPENDENT CO. & ARTIST, MASK AND BUST FORUM / Death Studios Shock Monster! Jeff Death does it again! Nice, thick latex... stellar paint. My only complaint is that it's hard to see out of -- but realistically, this is much more of a display piece. I don't foresee wanting to use it for a costume (although if I ever buy a house and hand out candy to trick-or-treaters, this might be fun to wear at the door). MASS PRODUCED HALLOWEEN MASKS / Re: WORLD FAMOUS TOPSTONE INDEX THREAD! I picked up another Topstonje witch with the original packaging still attached. Its mold is a bit different from another Topstone witch I have. I suppose they had two different molds? I own no Zagone but that's a nice sculpt. Good paint, too. 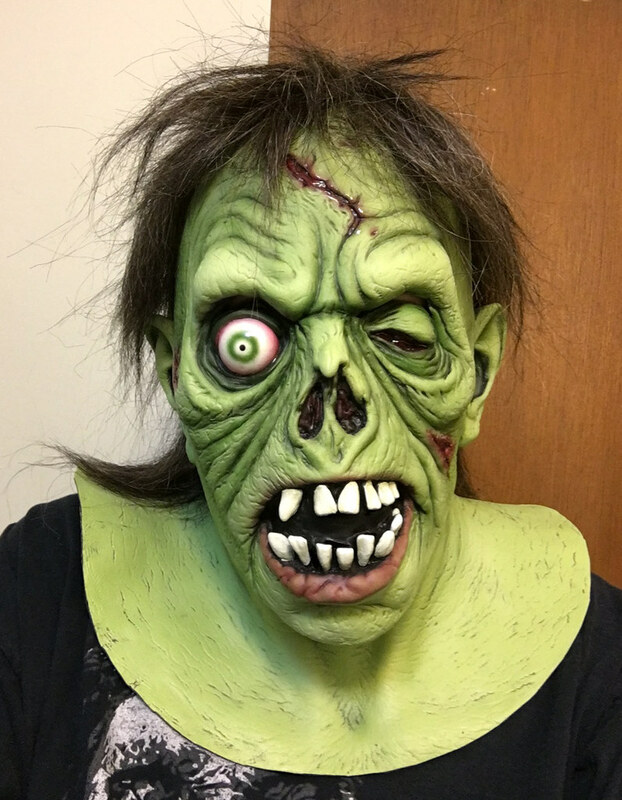 One of the nicest things about Zagone/BSS masks is that they are some of the most comfortable masks to wear of any mask maker out there. It's a wicked scary face for sure. I vaguely recall seeing them in local shops while it was still a BSS original. You should start modeling some of these masks you review so we can see what they look like with eyes inside.